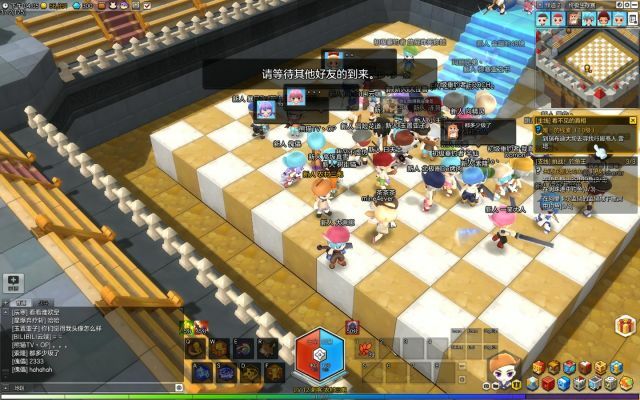 According to Tencent Project Team, the final closed beta test of MapleStory 2 CN server is coming to an end. The test of the unique MMO game reveals a brand new open world and some new contents in game. The cute comic graphic combining block construction gives us a dynamic feeling, the new world offers us various choices of settings, you can walk, climb, swim, go fishing, racing, take a taxi or play your piano in the city. There’re some hidden boxes in the map for you to explore so as to gain a mount. 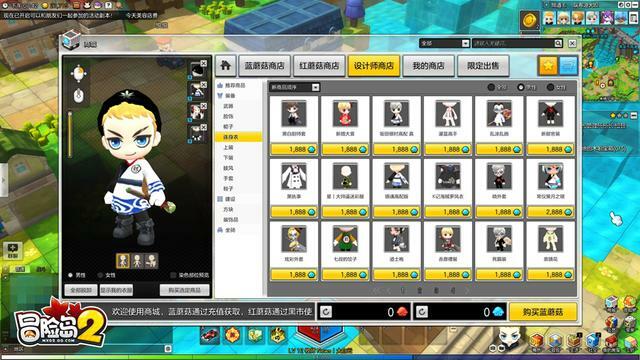 MapleStory 2 has prepared hundreds of different achievements for players to unlock, such as Good Walker, Good Climber or Good Swimmer etc. and these achievements can unlock you mounts and badges. As testors said, the combat in game is awesome, the fast paced combat, flashy skills and ultimate fighting pleasure are really unforgettable. All the skills and any other options can be done within the total keyboard control, inestead of mouse control. 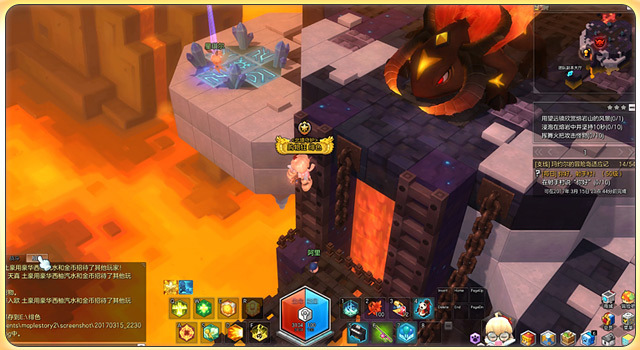 Players can play solo or team group in 4 or 10 in dungeons of MapleStory 2. Interestingly, after killing the BOSS in a limited time, you can torture its body. It's no doubt that you will get rewards for dungeons and you can try anytime. Remember that the rewards only appear 3 times. Similar to the previous version of the game, players can kill World bosses and get abundant items dropping. The character customization always attracts players to set the character and now players will have the chance to customize teir character with a new DIY function. Amazing thing is that you can design your own fashion, hats, tops, bottoms, shoes, capes, weapons and mounts. What make gamers exciting is that you can even make money by upload your own original design to the shop for others to buy. 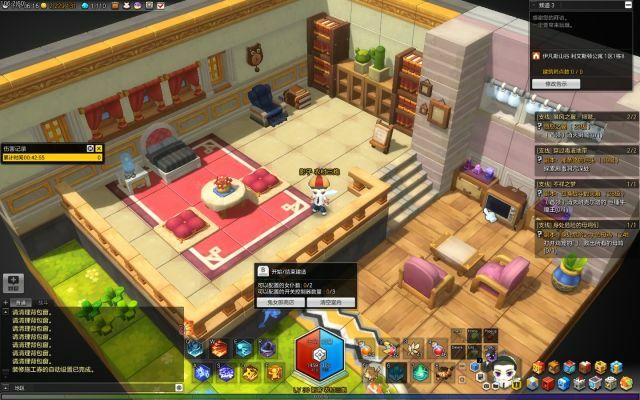 Nowadays, many MMO games have its housing system, so does MapleStory 2. You can build your own house after choosing a house type from many different kinds of houses which including villa, normal residential buildings, wooden house, and even house in the forest. It should be noted that different location house has different prices. So what you can use to decorate your house? Furnitures are available for players to buy to decorate the house. You can even get a maiden to manage the building. Apart from the 8 classes we released for MapleStory 2, those are just some of informations we know about the CN server so far. 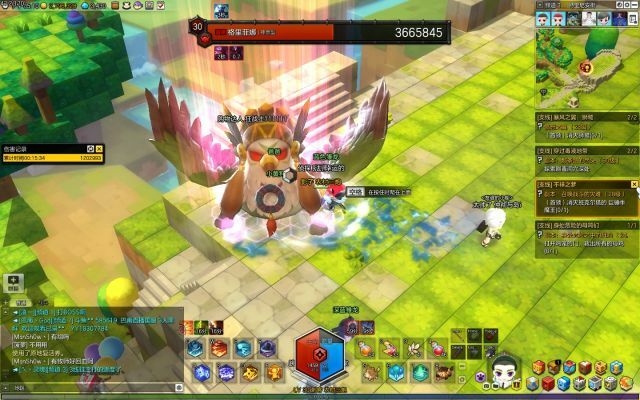 For more MapleStory 2 news and reviews, check out the latest issue of Maplestoryer or visit the website at maplestoryer.com.